For many of us, shaving in the morning is as automatic as brushing our teeth and combing our hair. While shaving is just one of the routines that need to be checked off each morning, the daily hair removal technique that we’ve all embraced can be tedious, time-consuming…and, well, painful. But, still, each morning we suds up and break out the razor. Hoping that we don’t endure a cut or razor burn. While many of us can’t afford expensive laser treatments to rid the body of hair growth, there are a few tips and tricks to make shaving easier…and less frustrating. “You are what you eat” is a saying that you have probably heard before, yet likely dismissed. However, it turns out that what you eat, can in fact, affect every aspect of your physical health and your well-being – especially your skin. A recent study found that people who consumed a diet made up of completely natural foods did not develop acne, while those whose diets consisted largely of refined carbohydrates were more prone to this troubling skin condition. The reason? Cakes, cookies, white breads and pastas, along with other refined carbs, cause a serious spike in blood sugar levels. When blood sugar levels are high, hormone levels surge, which, in turn, causes acne. On top of that, like all of the other organs within the body, your skin needs certain nutrients in order to remain healthy. If you are eating a diet that doesn’t contain the proper nutrients, not only are you at an increased risk for developing acne, but your skin could lose its elasticity, become even become sallow. 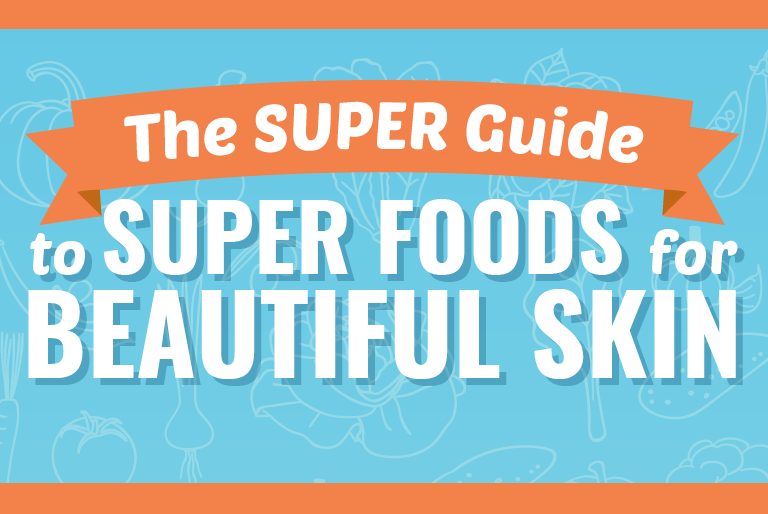 As the largest organ, your skin does a lot for your health. It protects you from illness and disease, shields internal organs and the musculoskeletal system, and it also affects the way you look. If your skin is unhealthy, not only can you see it, but you can also feel it. So, how can you make sure your skin is in good health? By altering your diet. Cut out those refined carbs and replace them with foods that have been found to nourish the skin.